Edvard Grieg is Norway's most famous composer. His music, inspired by Norwegian folk-tunes, has a charming directness which has worldwide appeal. His beautiful miniatures make up most of his output. Their simple, folk-like gracefulness and lack of grand dramatic ideas are famous hallmarks of Grieg's style. I find Grieg's music rather lightweight, but I still love his talent for melody and imagery! Edvard Grieg was born 1847 in Bergen, Norway, into a well-off and musical household. His mother gave him piano lessons at age 6, and he advanced quickly. A family friend and famous violinist saw Grieg's talent and encouraged his family to send him to the Leipzig Conservatory. They sent the 15-year old Grieg there, where he hated the course and his teachers. But! Grieg discovered Robert Schumann's music in Leipzig. He felt attracted to Schumann's direct style, and it inspired his early compositions. At the age of 25 he went to Copenhagen, Denmark, with the aim of becoming a concert pianist. Norwegian culture was under the shadow of Denmark around this time. Maybe it was a deliberate backlash when Grieg began incorporating folk melodies from his homeland into his music, creating his first nationalist pieces. In Copenhagen he met and married his first cousin, the singer Nina Hagerup. Their love influenced a lot of his more romantic songs. They stayed together until Grieg died, despite a temporary rift when Grieg suffered a personal and professional crises. Edvard Grieg composed and taught music, with his reputation growing slowly. In 1876 he wrote the incidental music to Henrik Ibsen's play Peer Gynt. The music was a smashing success, and catapulted Grieg to fame. By 1885 he was a famous and respected composer throughout Europe. The Norwegian government gave him an annual pension, and famous Universities showered him with honorary degrees. Grieg's music had fans including Hungarian piano virtouso Franz Liszt (links to biography) and the Russian master composer Pyotr Tchaikovsky. Liszt even invited Grieg to visit him in Rome, which the Norwegian did in 1870. Grieg showed Liszt his first piano concerto, which Liszt played by sight all the way through. The other people watching were dazzled, but Grieg smiled gently and told Liszt that he'd played it too fast! Click here to read about Grieg's Piano Concerto in A minor. Edvard and Nina settled in Troldhaugen. It was a beautiful villa Grieg built himself, surrounded by nature. He had a yearly routine, composing in the spring and summer and touring Europe as a pianist during autumn and winter. Grieg also befriended the eccentric Australian pianist-composer Percy Grainger. Both men admired each other's musical talents. Grieg thought that Grainger could play his Scandinavian music better than any Scandinavian. Grainger called Grieg a "mini-Viking" because of the Norwegian's shortness (he was just over 5 feet tall). To me this description demonstrates Grieg's personality as much as Grainger's sense of humor! Grieg's health declined at the start of the 20th century, but he kept on with his long concert tours. Edvard Grieg died in 1907. His own funeral march, as well as Chopin's, was played at his funeral. His ashes are buried in a mountain near Troldhaugen. Edvard Grieg's music is uniquely Norwegian. Not only did he use traditional melodies from his native country, he created new ones in the same style and promoted Norwegian nationalism and identity through his concert tours. He loved the traditions of his homeland so much that he was one of the main establishers of the entire style and flavor of Scandinavian music. For me, Grieg music is wholesome, like a hearty Scandinavian broth. Grieg let other composers create majestic, sublime pieces of art - the Norwegian was content enough to compose music that nourished the everyman. His straightforward music is nonetheless colorful, and effortlessly evokes the beautiful natural world of Norway, full of fjords, lakes, and forests. For example, listen to the opening of Grieg's famous Morning Mood - you can almost smell and mountain air! He was never properly trained to deal with massive musical forms (like symphonies). He also had a lack of playing stamina and a lifelong breathing problem. This combination made Grieg, as a person and as a composer, much more suited to miniature pieces. Accordingly, most of his music is small-scale and short. He also composed mostly for piano, but his works for orchestra show he had a masterful control of clear orchestral color and warmth. His music also inspired later more radical composers, like Ravel and Debussy. He was still able to blend in unique chords and interesting modern sounds into his delightfully simple pieces. Norwegian Dances: This collection of orchestral dances captures the buoyant energy and spirit of Norway, featuring traditional melodies (or ones that Grieg invented that sound traditional). 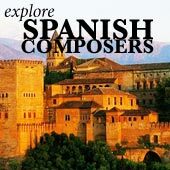 Lyric Pieces: These are a very popular collection of pieces for piano, each featuring a quaint title like "To Spring". They've also been transcribed for orchestra, with beautiful results. Holberg Suite: A set of baroque-inspired dance pieces, featuring Grieg's trademark fresh, clear sound. Each dance is strutted in the style of a genre from the 17th century. Peer Gynt Suite 1: Grieg's most famous work! A selection of pieces from the composer's incidental music to Henrik Ibsen's play Peer Gynt. 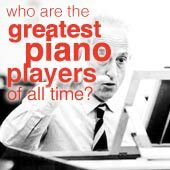 This set has more well-known Grieg melodies than anything else in this list! Piano Concerto in A minor: The composer's only piano concerto (and one of his extremely rare large scale pieces), this dazzling concerto has excited ears (and stayed popular) for the past century! 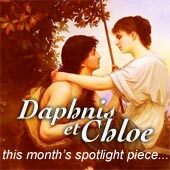 Elegiac Melodies: These are 2 orchestral pieces, with sad, nostalgic atmospheres, tinged with transcendent beauty. They're actually arrangements from 2 of the composer's piano pieces. 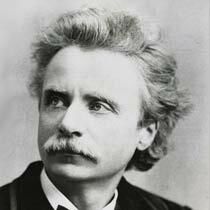 The hugely popular Peer Gynt Suite, which launched Grieg to fame and is his most recognizable music nowadays. Holberg Suite, a series of elegant baroque-style dances for string orchestra. An interesting overview of Grieg's 1st Piano Concerto, a stunning virtuosic thunderbolt.